Like many New Yorkers, I want Amazon to come to our state and its job creation to benefit our residents. You'd be hard pressed to find a city or state in America that would not welcome the economic activity created by capitalism. But the announcement by Governor Cuomo and Mayor de Blasio that Amazon will receive $3 billion in our tax dollars in exchange for making Long Island City its new headquarters left fiscal policy wonks scratching their heads and taxpayers holding the bag. Despite some unfriendly policies adopted by Mayor de Blasio and Governor Cuomo over the years placing additional burdens on our private sector, New York remains “the capitol of the world" and a major center for commerce. This coupled with our talent pool has organically attracted major investors and job creators since its inception. New York's rank as one of the nation’s highest taxed states, however, has made it increasingly difficult to compete with states like Florida, Texas and North Carolina. Instead of lowering the tax burden to attract the smallest entrepreneurs and the Amazons of the world, precious tax dollars that could have been used to upgrade all our city’s subway signals, add classroom space, or provide property tax relief are being used to subsidize one of the richest companies on Earth. 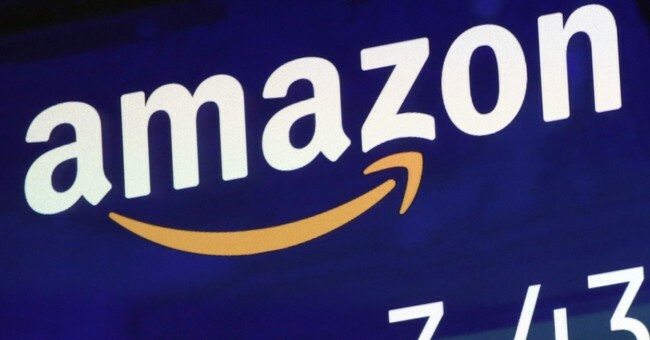 Other locations have managed to attract Amazon’s business without breaking the bank. For example, Virginia will now be home to the other Amazon HQ2, but at a fraction of the subsidies New York is providing. Between Arlington and the commonwealth of Virginia, the government will be subsidizing $573 million for the same 25,000 jobs that will be brought to New York. Whether this is a result of a raw deal or – as Governor Cuomo admitted – a consequence of Virginia’s lower tax burden, it is the people of New York who will pay the price of the largest incentive package ever provided to a private company by the state. Many of my colleagues on the other side of the aisle are misdirecting their shots at Amazon citing "corporate greed" but you can't blame the tech giant for taking advantage of the best deal given to them. After all, they are in the business of making and (unlike our city and state government) saving money. Instead, these Democrats should be pointing their fingers at the mayor and governor they endorsed and elected. It’s funny... Republicans are often accused of being the party of corporate welfare and benefits for the wealthy yet, in Albany, it’s the Republican Assembly Conference that has stood up against Cuomo’s $21 million giveaway to NBC's Tonight Show Starring Jimmy Fallon, $16 million to CBS for The Late Show with Stephen Colbert, and $130 million for a new Buffalo Bills stadium and tax credit for owners of luxury yachts with price tags of at least $230,000 and sales tax exemption on private planes. And these giveaways pale in comparison to the infamous $1 billion the state awarded to companies in Buffalo whose executives gave large donations to Cuomo (that eventually led to criminal convictions for bid-rigging). But what’s important to recognize is that for all their smooth talk about corporations being subsidized on the backs of the working class and the need to take the money out of politics, it’s their actions that speak even louder. Hardworking New Yorkers will be the ones subsidizing the thousands of jobs created by the Amazon project, each of which will come at a price of at least $61,000 of taxpayer money. This is even more than Cuomo's Start-Up NY failure that spent $59 million to create just 1,100 jobs in its first three years, well below the 3,300 originally projected. It’s unfortunate that when we finally get our Mayor and our Governor to work together on something, it’s at the taxpayer’s expense. As much as the two compete to be President Trump's loudest critic, they should each pick up a copy of “The Art of the Deal” because frankly this deal stinks. Nicole Malliotakis is a member of the New York State Assembly representing Staten Island and Brooklyn and was the 2017 Republican nominee for Mayor of NYC.